if your credit score is high, your rate of interest on your home loan will be lower than the rate the bank will charge on borrowers without credit score. Did you get your credit score yet? If you are planning to buy a house of your own and intend to take a home loan from a bank, then you better get your credit score first and then apply for your home loan. The reason is simple: if your credit score is high, your rate of interest on your home loan will be lower than the rate the bank will charge on borrowers without credit score. The public-sector Bank of Baroda has decided to link interest rates on home loans to credit scores of borrowers and other public and private sector banks are expected to follow suit. To begin with, the bank will initially consider credit scores of Credit Information Bureau of India (CIBIL) for rating of the borrowers. Accordingly, customers with scores above 760 points will be charged 8.35 per cent on home loans, while those with credit score in the range of 725 to 759 points will be charged 8.85 per cent and those having credit score of less than 724 points will be charged 9.35 per cent. In the case of first-time borrowers with no credit history with any credit information bureau, the bank will charged 8.85 per cent. These new rates charged by the bank will be irrespective of the tenure and the amount of loan. The CIBIL score indicates the financial discipline maintained by borrowers in timely repayment of their dues. 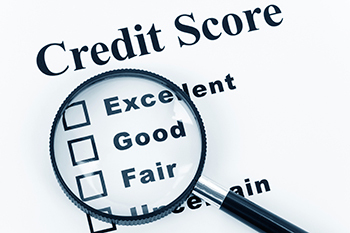 All banks are mandated to provide information about their customer's loan history to credit information bureaus such as CIBILl, and based on this data, the credit score of a borrower is calculated. The differential rates offered by Bank of Baroda are a reward to its customers with better rating by offering them better rates. Bank of Baroda will be the first bank in the country to link interest rates on home loans to credit scores of borrowers.